The White paper on population growth has caused great anxiety amongst Singaporeans. They are concerned that as Singaporeans will make up only 55% of the total population in 2030, what will the country become? Easily the balance can tip us to become minorities in our own country. Singaporeans are currently trying to cope with the daily overcrowding of trains and buses, higher health costs, competitions for homes and jobs etc. The various measures just released before the by-election have yet to be felt. Thus this package of population change has caught them off guard. The back log of infrastructure should have been addressed and made right first. Such a move would have instilled confidence. What is worrying is when PM admitted the govt did not have 20/20 foresight over the last influx of immigrants to explain the infrastructure lag. This have cast doubt on the previous planning. How then did our infrastructures of housing, transport i.e, road and rail, social and health amenities be so woefully short when 2001 forecast was already 5.5m? This is worrying as the govt has total control over immigration? PM has assured that this time round the planners will create a greater buffer in its planning. Be that as it may, the projection of 6.9m is overwhelming and should be thoroughly debated. Most, if not all people, seek a comfortable space for their family. We do not want to risk driving away our own. 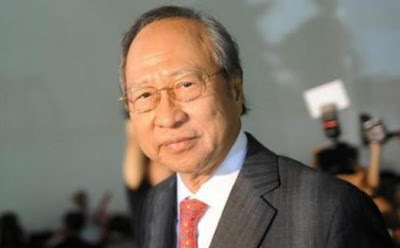 * Tan Cheng Bock was a Presidential candidate in the 2011 Presidential Election.